It is no secret Albuquerque is now one of the cities where film industry is growing really fast, big productions like Independence Day: Resurgence and TV shows like Breaking Bad and Better Call Saul have chosen this film hub for a reason. New Mexico offers one of the most competitive incentives package in the industry which includes a 25% or 30% Refundable Film Production Tax Credit and the Film Crew Advancement Program. Also, post-production services rendered in New Mexico qualify for the 25% Refundable Tax Credit even if the project is shot elsewhere. The film industry brought a record $288 million into the state economy in fiscal year 2015, according to a report from the New Mexico Film Office. 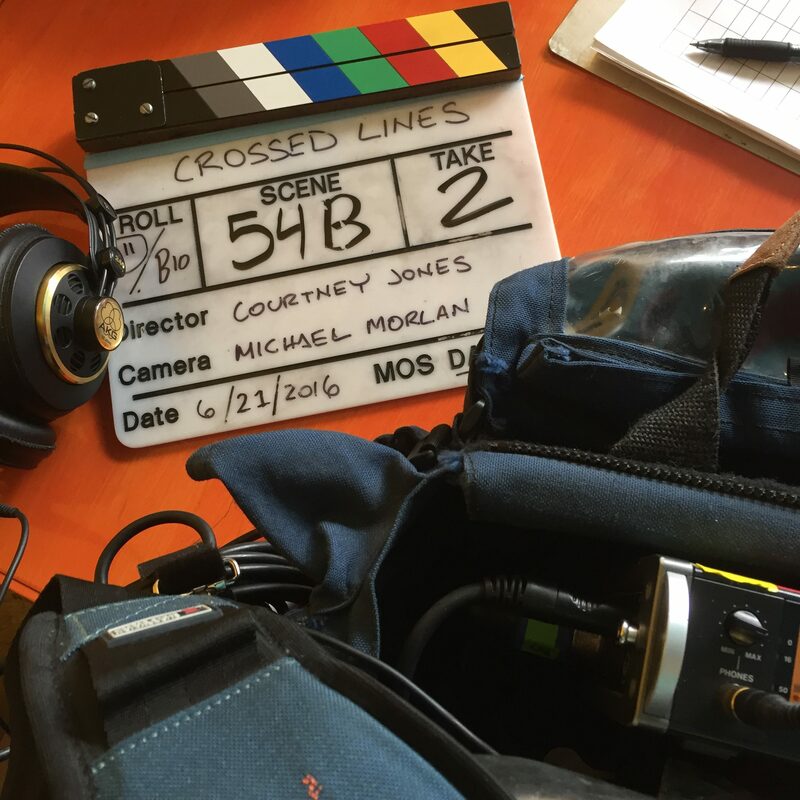 A few weeks ago I had the opportunity to go to Albuquerque, New Mexico to work as a sound mixer/recordist on an independent film called Crossed Lines. The movie was written and directed by Courtney G. Jones, a Hollywood insider with 20+ years of experience in the film & television industry and produced by Matt Berlin from POD Intermedia. There were two very intense weeks of hard work, we shot 110 pages in 11 days plus two days of pre-production. But even working 14 to 16 hour at day didn’t made the shooting a nightmare, it was completely the opposite. It was an amazing and enlighten experience, and I’m very impressed for the camaraderie and team spirit of all the people in the cast and crew. They all were so eager to film and get it done the best they could, I’m pretty sure this film is going to look at least ten times more expensive than the original budget. It was great to reconnect with friends like Nicholas D. Ward who worked some magic as a producer/line producer (thanks for inviting me to be part of this incredible crew and for the insuperable hospitality) and Theresa June-Tao, met super talented film professionals like Michael Morlan and Carla Feldpausch Siegle, and MMA Fighters Michelle Waterson and Carlos Condit, not to mention how awesome was to work with Rick Gomez, know for his work on Sin City, Transformers, HBO original production Band of Brothers, just to name a few. Can’t wait to go back to film again in ABQ, right on brother!